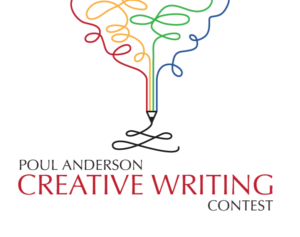 The Friends of the Orinda Library is excited to announce the start of the 2018 Poul Anderson Creative Writing Contest, open to all students who reside and/or attend high school in Orinda. Entry Categories are Science Fiction/Fantasy, Essay/Memoir/Biography, Poetry and Short Story. Students may submit one entry in any of the four categories for a total of not more than three entries. Submission deadline is Friday, April 20th at noon. Entries are judged by a panel of local judges who are involved professionally in reading, writing or publishing. Awards will go to the works judged best. There will not necessarily be one award in each category. Up to four winners will each be awarded $500 prizes at the end of the school year, underwritten by the Friends of the Orinda Library. The winning entries will be posted on the Friends’ website and inside the Orinda Library facility, for all to enjoy. The contest is named in honor of the late Poul Anderson, a popular science-fiction writer and Orinda resident, who was a true friend to the community for 40 years. Entries may be submitted via hard copy or electronically. Instructions for submission are on the 2018 Contest Entry Form. If you have any questions about the contest, please email contest@friendsoftheorindalibrary.org. ← Lamorinda puts teens first in February!